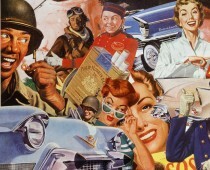 The lyrical sound of Ding Dong… Avon Calling was music to my mid-century mother’s ears. My father may have said he wanted to be a hands on kinda Dad but it was my Mother who had her hands filled especially the year I was born. Moms diaper decorated world kept her too busy for words. There was no time to flip through a magazine, talk on the phone or even open a newspaper to keep up with the news, let alone get her hair done, or shop. Spare time with a new baby in the house? And a toddler? Fuhgeddaboudit! Sometimes, she joked, she felt like a contestant on the $64,000 Question, sequestered in one of those isolation booths, cut off from the world. Which is why those visits from the Avon Lady were a welcome relief. 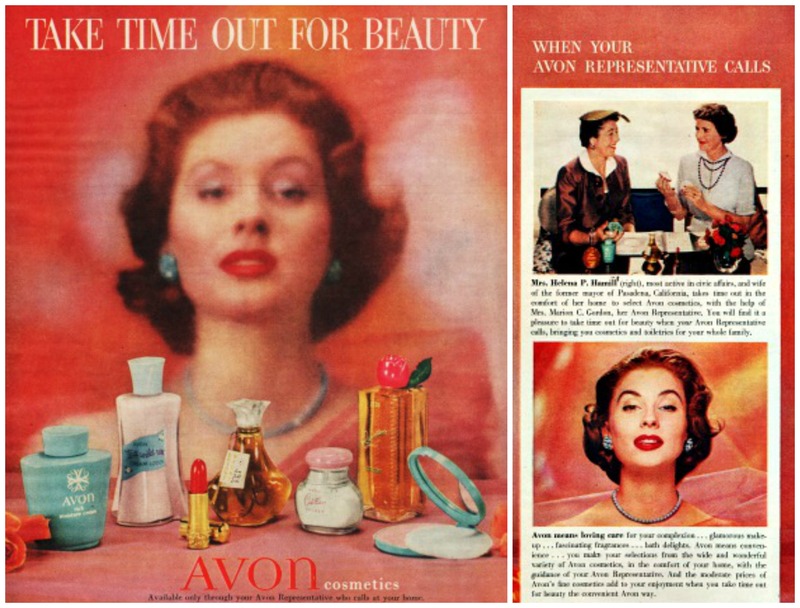 It was Monday morning in early October 1955 and Dawn Logan our Avon Representative was due at our suburban home around 10. Glancing up at the small clock on the electric wall oven, Mom noticed she was right on schedule setting up for Dawn who would soon be knocking on the door. After doing a quick run of the Bissel carpet sweeper through the house, she put up a big pot of Chock full of nuts in her chrome Mirro-Matic percolator. 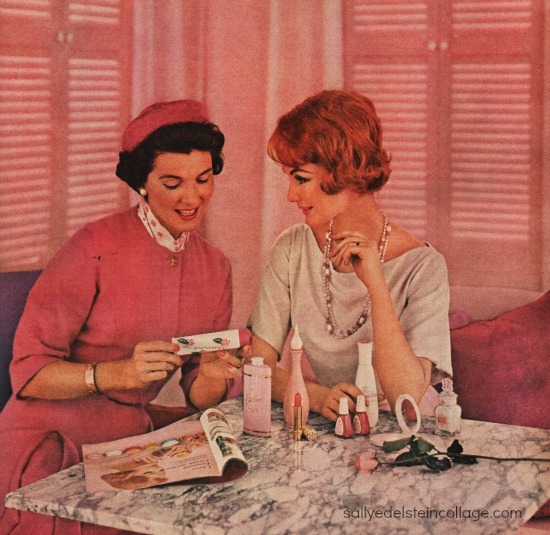 She knew from experience there was nothing more welcome to a traveling Avon Lady than to have a cup or 2 of piping hot coffee, with plenty of sugar for extra pep, and relax with a soothing cigarette while going over samples. Striding into the kitchen briefcase in hand Dad tousled my brother Andy’s hair who was busily engaged on 2 fronts attacking a bowl of sugar smacks with spoon and hands, happily putting as much on the floor as in his mouth while at the same time spreading jelly on a piece of toast, ketchup on another and putting cereal between them. Sitting in my high chair I surveying the scene from a safe distance. Dad noted that Mom was as giddy and glowing as he had seen her in a while. The gay floral design on her apron seemed to match the new scrubbable wallpaper perfectly. She hadn’t missed her lipstick either, he noted. Snuggling up behind her as she popped a standing rib roast in the wall oven he murmured “hey Good Lookin’…whatcha got cookin?’ patting her backside playfully. Mom shooed him out handing him his hat; now that Dad was a Dashing Dan he had to catch the morning train. She turned back to the kitchen, wiped up the trail of milk on the floor drank 2 more cups of coffee and did the dishes laying them on the frosty pink rubber dish drain. Earlier that morning as Mom clipped on the small pearl earrings, she gazed disconsolately into the bathroom mirror. The face was as pretty as ever, she supposed, with the clear ivory skin, but the large baby blue eyes now bloodshot revealed just how very tire she was. Eyeing a tube of red lipstick, she knew it would be just the ticket to brighten her up. “It’s the new spice in fashions life” she rhapsodized as she continued. “And when French Spice glows on your fingertips…goes to your toes…who knows what beautiful things it can lead to,” she concluded winking. Mom smiled to herself. Nine months later from the purchase of that lipstick I was born. 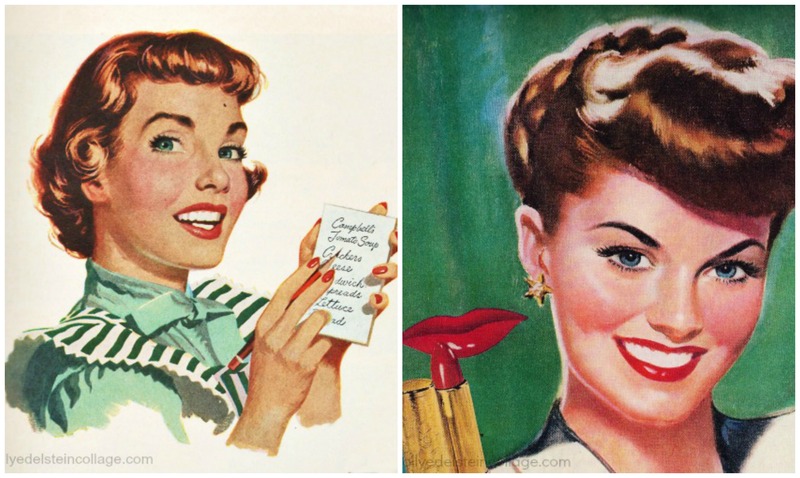 The Avon Lady had been a lifesaver when Mom was pregnant. By her third trimester Mom had blown up like a balloon, and her enormous body encased in a tent size garment called a maternity dress didn’t do much for her self esteem, or her beauty IQ. She could have hugged Dawn when she had suggested earrings and a new shade of Avon lipstick might keep a young wifes mind-and her husbands eyes off her ungainly figure during the final months of her pregnancy. Pregnant, Moms moods could turn on a dime; she could be fidgety and irritable. Dawn was a strong shoulder; she understood. Her words could be as transformative as the products she sold. “Solving a problem that plagues others is a thrill,” she explained to Mom. Dawn called herself the listening ear of the community. It was, she confided to mom one of the secrets of a good Avon lady. “Put your best face forward,” Dawn was fond of saying and she practiced what she preached. Good advise to Joan and Peggy as they battle it out for the Avon account on Mad Men.